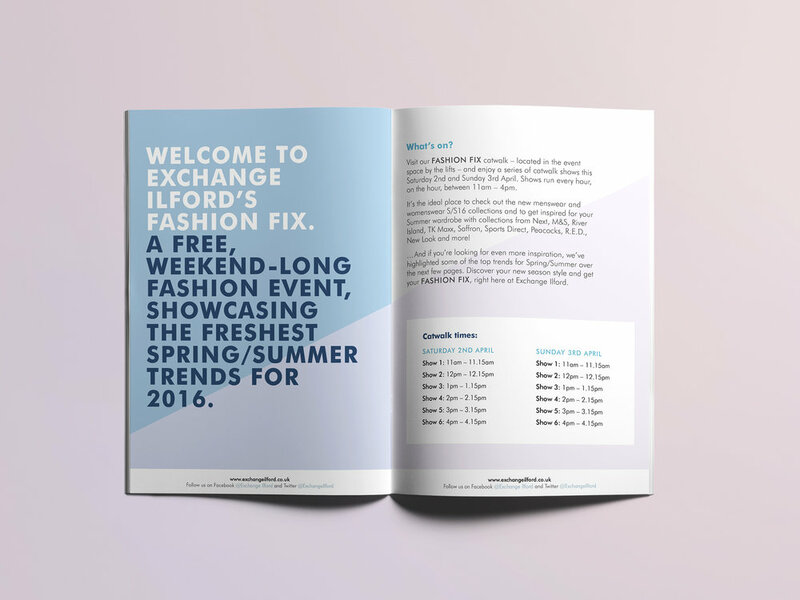 The Exchange Ilford is the main retail shopping mall situated in the heart of Ilford, London. With over 90 retailers it is the perfect place to spoil yourself with some shopping, beauty treatments or food. 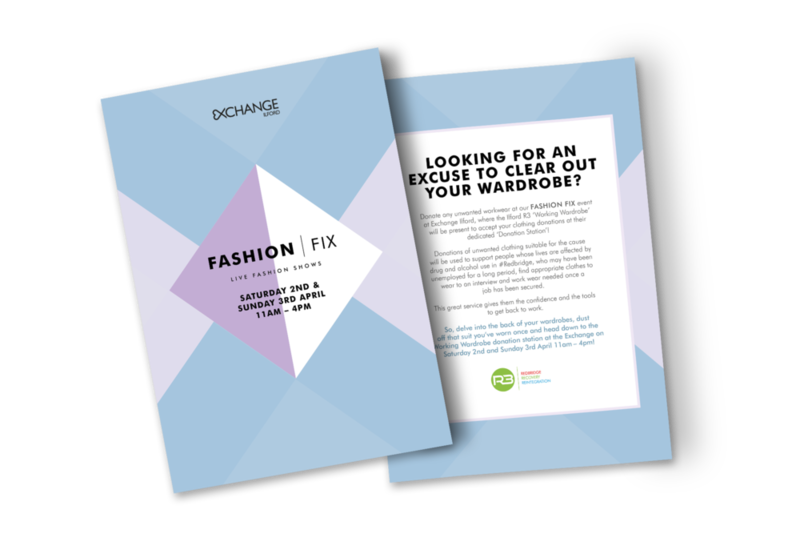 and offers from Spring/Summer collections as well as help to reintegrate homeless people into society. out before and during the event. 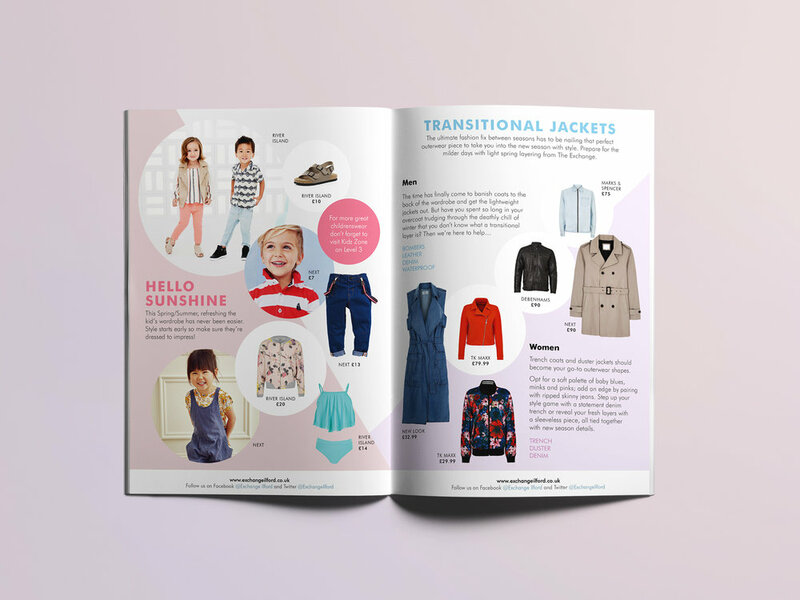 It was decided to use soft colours similar to the malls website combined with various shapes and big bold titles for each section of the brochure.